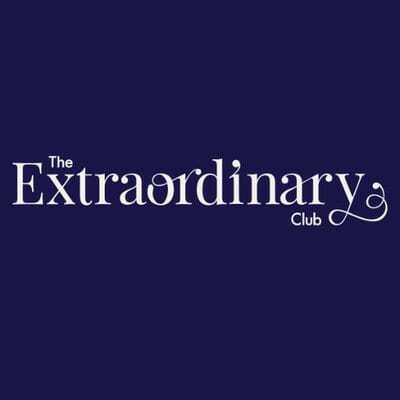 We are excited to announce that The Extraordinary Club have recently relocated to Sensor City. Find out more about their unique business and how they’re helping creative and digital businesses to grow. The North is home to thousands of creative and digital businesses and talent with the potential to scale up. The Extraordinary Club is all about enabling them to grow and thereby putting Liverpool on the International stage. What makes The Extraordinary Club truly extraordinary is its’ unique collective of members – whether from the region’s most cutting edge new talent and pioneers in robotics, immersive tech or gaming to some of the world’s biggest brands such as Lego, Accenture or Microsoft. Co-founders Dawn Paine and Angela McClelland bring a unique mix of skills and expertise from careers spent in leadership roles for some of the world’s biggest brands including Nintendo, Universal Pictures and Santander. Read their blog below for more information. We offer 1-2-1 business growth consultancy to enable SMEs to grow and scale their business. We provide strategic and straight-forward advice and support for businesses across an array of areas – whether in developing their business proposition, crafting their 3-year road map or designing their strategic marketing plan. Typically, we work with companies on at least a 6-month basis where we develop a long term, strategic relationship to enable the business to grow and see tangible results. Harnessing the power of our club members and relationships, we create commercially focused business growth programmes and incubators providing full wrap around support to help our entrepreneurs to grow. We create powerful thought leadership and learning and development events and curate workshops ranging from UX to marketing innovation and from leadership to access to R & D.
We create intensive 12-week growth accelerators for scale ups through to “always on” all year round start up incubators. What underpins all of our products is our access to world class talent, leaders and brands that help us deliver our content and community building. The Extraordinary Club, in partnership with Agent Academy, have partnered with tech giant Facebook to deliver their first ever UK digital skills training programme – with Liverpool being the UK’s launch city. The training focuses on developing confidence and skills for future employment in the digital economy, with Facebook’s focus on 18-30 year old’s – as a key measure to help tackle the digital skills gap nationally and within the Liverpool City Region. This programme forms part of a Europe-wide initiative led by Facebook, to help young people and businesses grow and equip more people with the digital skills they need to compete in today’s workplace. The action packed modules cover social media marketing development, building your web presence to creating your own tech prototype. We are passionate about helping to grow Liverpool’s incredible creative and digital industry – e-mail us at hello@theextraordinaryclub.com if you’d like to chat about how we can help unlock your extraordinary.